Sounds like we may not be getting a dias for Jabba according to Yak's qna. At least Oola is new though...It will be interesting to see what this is priced at, but I would have paid a decent amount of change for an updated throne/dias. I'm not sure I read it that way. I think when they said secondary sculpts or accessories they might have been referring to my inquiry about the extra court denizens. I would consider the dais a primary accessory in this case. But who knows, I've been wrong before. 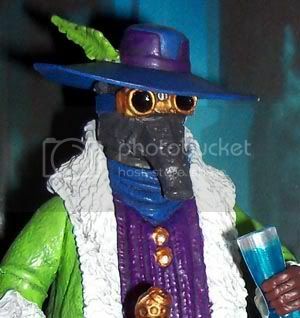 Yeah, I read it like Jayson - I think that statement was Hasbro's way of squishing the one-time rumors that a Jawa and/or fan are also coming in the pack. The dais/throne better be in there... if they are already talking "expensive pack" and it's only Jabba and Oola? 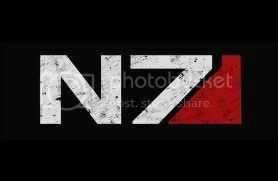 Man, would there be some serious hating going on in the forums. Agreed, I didn't necessarilly read it as no Dais, but you never know anymore. Cost-cutting is rampant, and at times pretty major/negative. I believe they were referring to stuff like the Jawa, Fan, Pillow, spit, Oola lower sitting body etc. 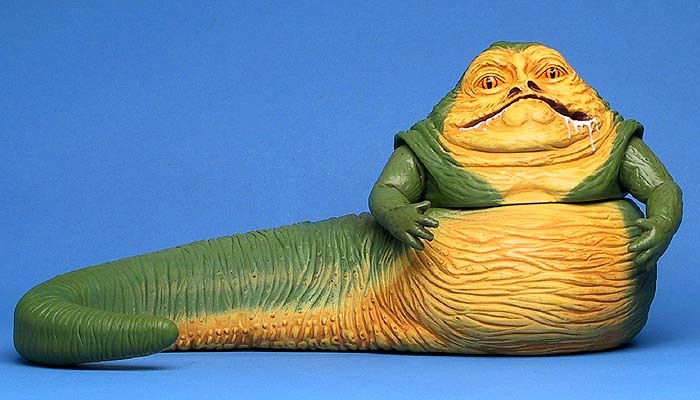 Hasbro has already proved they can deliver a Jabba & a SA figure for $20-$25 in a Battle pack. When they refer to "expensive" I honestly feel it's a safe bet the dias is counted in that comment. The dias with all the details is probably $20 on it's own. It is hard to read from that answer, but I sure hope that we're getting a dais as well. I mean, I have my vintage one, but an upgrade sure would be spiffy - and I think a lot of people would be ready to buy even if it was a bit pricier (within limits). 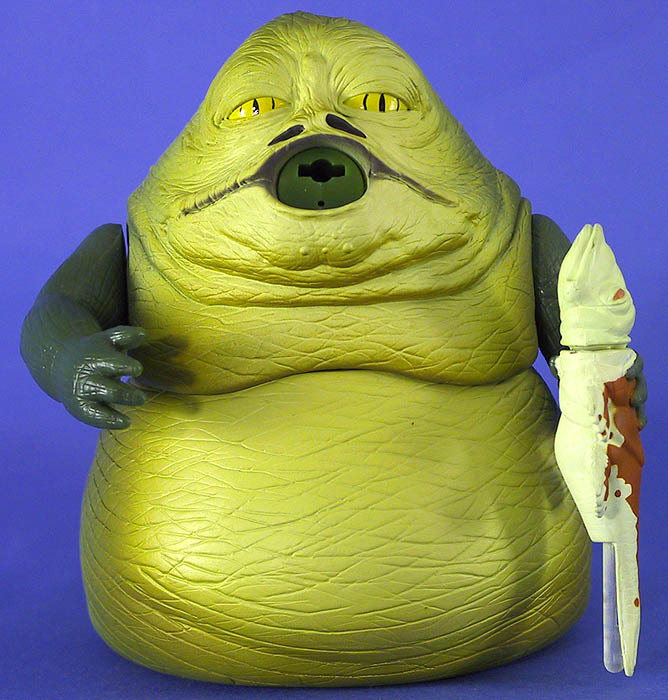 Hum perhaps it would be a super articulated Jabba, with a detailed paintjob with shades of green yellow, and a chain like the vintage set to pull Oola or Leia. I wonder if the trhone would have wheels for the motion it had on the movie. Great to get more info on this item, even if we need some clarification. This is an item I have been waiting patiently to get more details on. I have the '99 Jabba Glob version but skimped out on the '04 revamp of that mold. Jabba's Palace is the only shelf display I haven't made yet, waiting for the good Jabba Hasbro has been talking about getting out there for what must be years now. As for the dais, I really hope they are including it (as I said, I need that piece for my shelf and either I have to scratch build one or make the rest of the shelf around the dimensions Hasbro settles upon) but if this is now for sure a standard battle pack I find it unlikely. 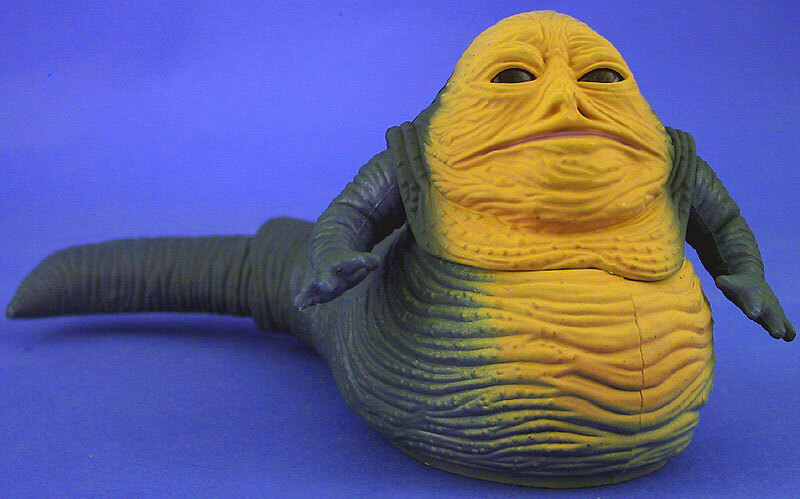 The Clone Wars Jabba was an all-new sculpt with a completely rehashed figure and a completely rehashed accessory. For sure we are getting a brand-new Jabba and a brand-new figure (unless they can somehow rehash parts from the Slave Leia?) I don't see how they could put in a dais that is anything substantial...maybe it will wind up being a flimsy piece of packaging plastic a la the Lars Homestead base or Sarlaac Pit extension? That would stink, but I'd take it over nothing at all. I thought they had talked about putting out a Jabba with Dais pack as an exclusive if they found the right place for it...my gut says if this is a standard Battle Pack then the dais has been costed out of the equation. I mean, I have my vintage one, but an upgrade sure would be spiffy - and I think a lot of people would be ready to buy even if it was a bit pricier (within limits). 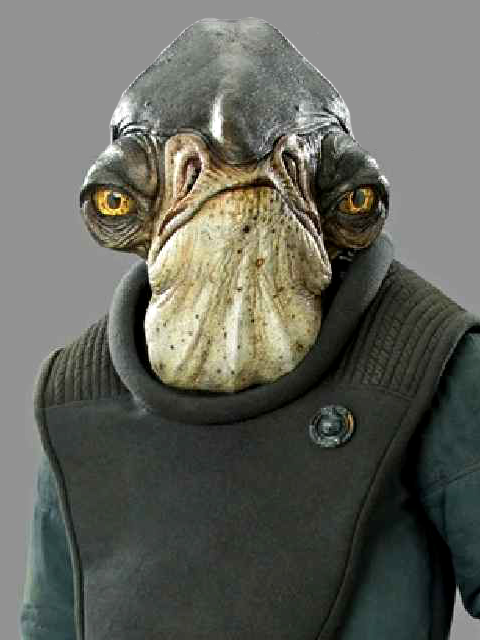 I consider Jabba and his dias to be the most overlooked character / piece / set of the last 15 years. If there's one big, major, important character that needs to be done right, this is it. I agree, but the Jabba Glob does a decent job in my diorama. I'd like to see Jabba come with a new throne as much as anyone else. But if it's a choice between a new Jabba without a throne VS no Jabba at all? 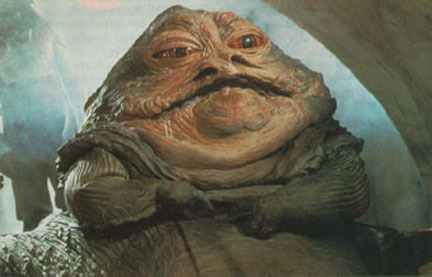 I go for the new Jabba in a heartbeat. And a new pack-in Oola is a pretty cool news, too. The vintage Jabba's throne is a very good stand-in. It would be sweet if Hasbro still had the Kenner tool for that and could update it for a modern release. And even sweeter if they could make a new throne. But if you don't have the vintage throne? You can find a loose Jabba & throne for between $25 and $30. That's the throne I use in my diorama. I think it would be a really lame pack if it's just Oola and Jabba with no dais. I guess they could put in a carbboard dais but man that would truly piss off the majority. They need to add the dais to make it worthwhile in my opinion. If not then yet again vintage Jabba crushes the modern releases. This is the dais I made a few years back, which will hold me over I think, even if they make one. I'll buy it anyway for the Jabba and Oola though!